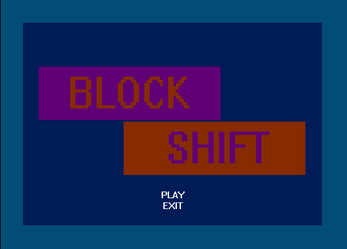 Blockshift is a local co-op top-down shooter with elements of real time strategy in the form of power-up management. 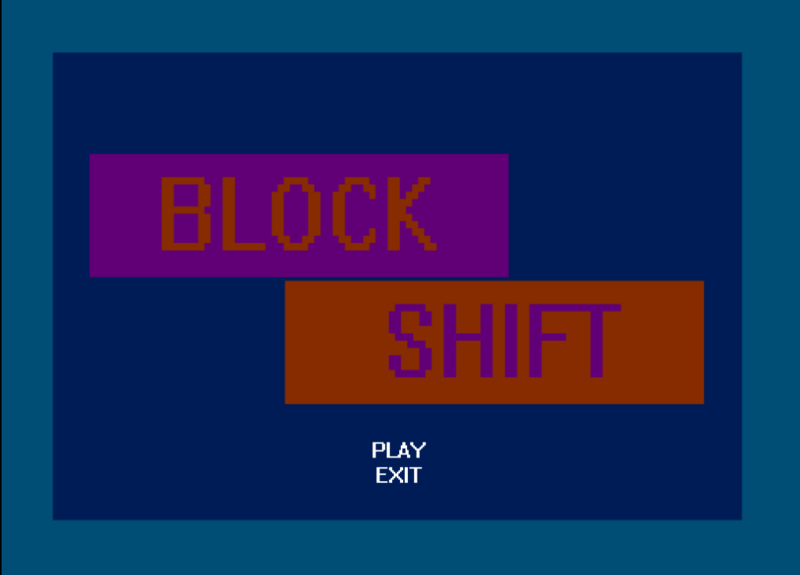 Player 1 uses "A" and "D" to move left and right, and "S" to shoot. Player 2 uses left and right arrow keys to move left and right, and up arrow key to shoot. 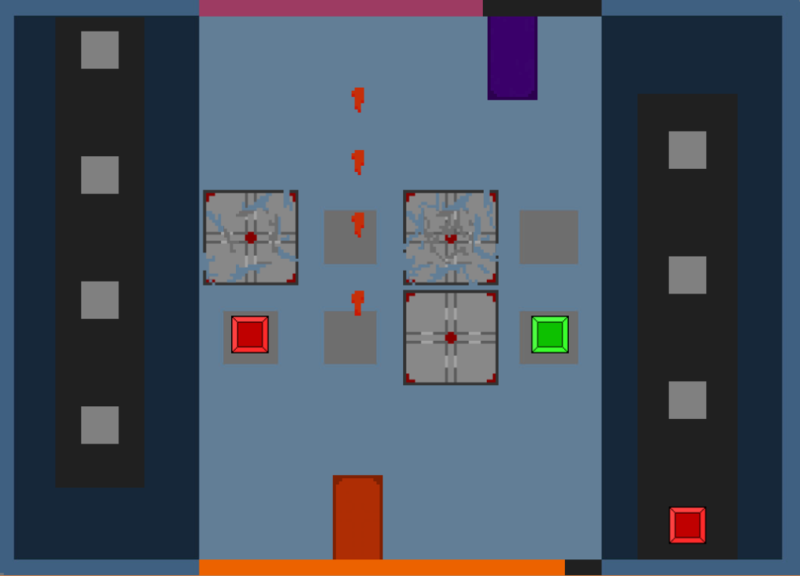 Use "W" and the down arrow key to activate power-ups for Player 1 and Player 2 respectively. Power-ups can can be activated in singles or doubles if you have two in a row. It's better to get doubles because the effect lasts longer. The "Red Power-up" heals you, the "Blue Power-up" gives you a shield and makes you invincible for a shot period, the "Green Power-up" gives you a temporary damage increase and lets you destroy blocks faster, and the yellow "power-up" shoots a missile back at you to discourage spamming your missiles.